Forward Flux provided opportunities for 106 artists in 2016. This includes behind the scenes technical roles, acting, playwriting and directing positions. 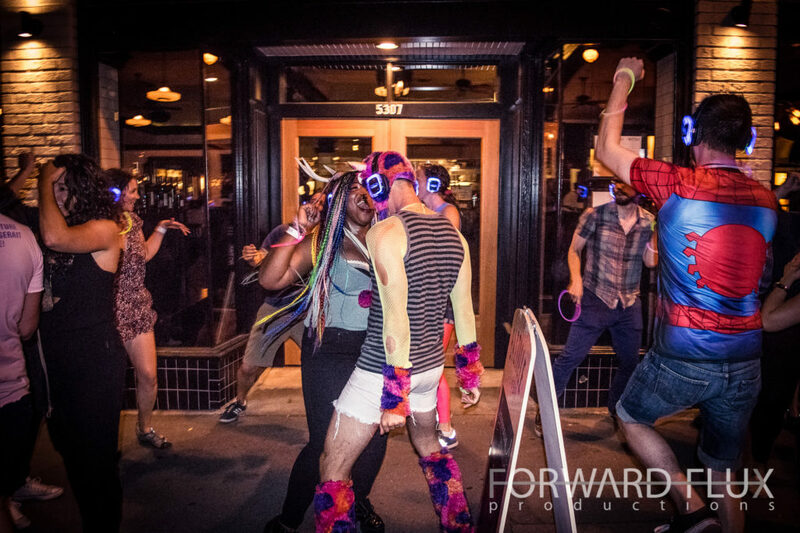 In addition, Forward Flux produced the free event AFTER ORLANDO, a benefit performance for victims of the Pulse nightclub shooting. 50 artists worked on this event, including 18 in the Diverse Harmony Gay/Straight Alliance Chorus. 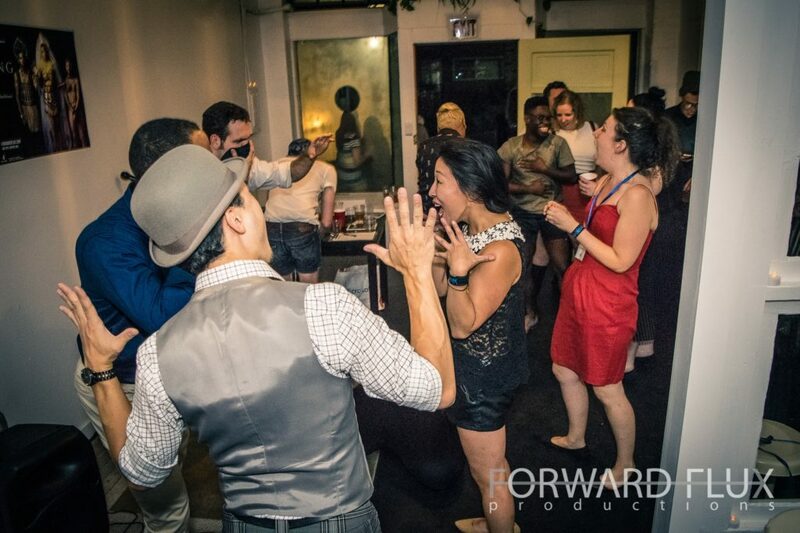 Forward Flux presented new work from 7 playwrights in 2016. Forward Flux had 36 on-stage roles for actors in our 2016 season, across the Salon and main stage productions. 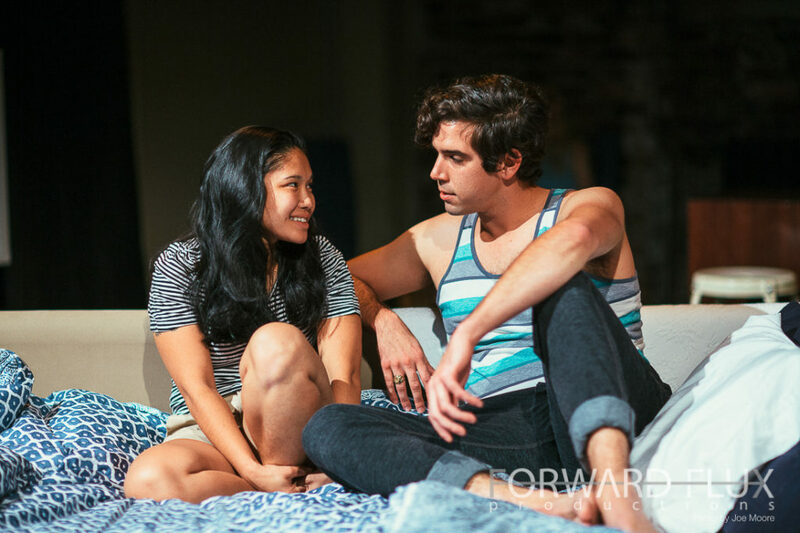 6 out of 7 plays in Forward Flux’s 2016 season featured at least one actor of color in a leading role, including roles that are not race specific. Alaji Marie, Nazlah Black and Varsha Raghavan in THE WEDDING GIFT. Té Yelland and Cameron Hodges in THE SUMMER HOUSE. The past few days have been prime time for existential examination. Who am I as a human? How do I move through the world in my body? How do I use my voice? When do I choose to speak? 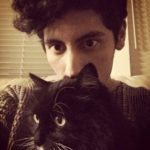 Seattle playwright Courtney Meaker, who is currently at University of Iowa Playwrights Workshop, recently told Adam Szymkowicz, “If I could change one thing, it would be that for one year theaters would commit to producing only queer, non-white, and/or non-cismale focused shows written by anyone but straight, white, cismales.” I was recently in a conversation discussing why I work as a script reader and literary manager, in addition to my work as a playwright, and my response was not that far from Meaker’s wish. If I could trust that theater companies would represent female, POC, and queer voices then my work in that field would be done. But season after season continues to be dominated by the same voices that have been heard throughout the course of history. It’s my belief that post-election, it is imperative that the theater world makes even more space for these voices to be heard and, truly, be given focus. One of the most heartbreaking sentiments that I heard this past year was an artist’s claim that, “I don’t want to be a number.” Indeed. Nobody does. Nobody wants to be a mere body to be counted. But we can’t trust the claims of, “If the play is good enough it will be included in the season regardless of who wrote it” or “If the actor is talented, they’ll get cast—it doesn’t matter what their race or gender is.” False. This colorblind thinking/approach is ineffective and needs to be put to death once and for all. Inclusion requires consciousness, acknowledgement, and work. It’s with this spirit that we at Forward Flux look back at this past year with an eye towards “what did we do? Not what did we say, but what did we DO.” Metrics aim to help us look objectively at what we’ve accomplished. The goals we have accomplished are reasons for celebration, but I must own that there is always room for us to improve. We need to do better. We all must do better. Guests enjoy our Speakeasy at Generations, Capitol Hill. Dancers enjoy What the Float in Ballard. 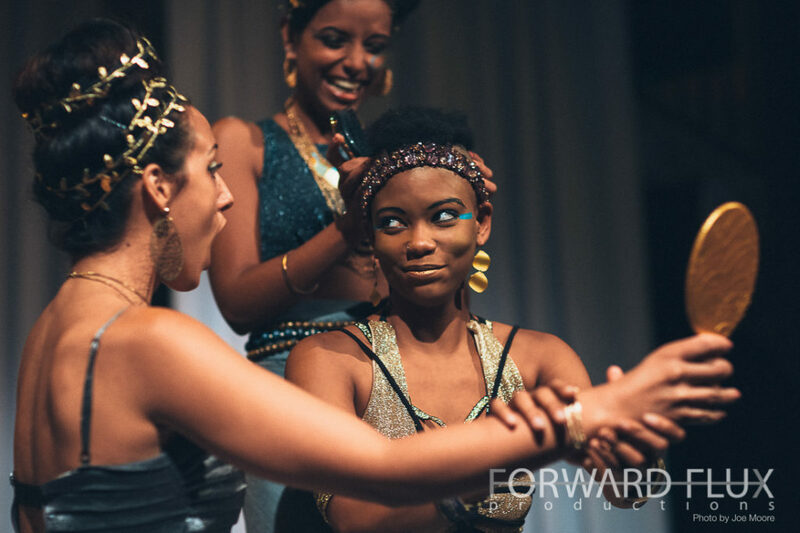 Forward Flux is currently working to raise $4,000 to close out our 2016 season with a bang! If our work has touched your life this year, please consider donating to support safe, equitable, accessible live arts experiences for all. Jeremy O. Harris talks about his new play "Daddy" (& his obsession with pop culture) which will play as part of The Flux Salon series June 12 & 13th, 2017. Claire Kiechel talks about her new play "PILGRIMS" which will play as part of the Studio 45 workshop series May 16 -20th, 2017.